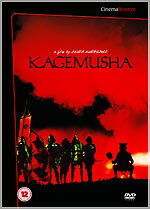 Twentieth Century Fox Home Entertainment will add Kurosawa's Kagemusha (a.k.a. The Shadow Warrior) to its Cinema Reserve collection on November the 27th. The film will be presented in anamorphic 1.85:1 format. The two-disc set will feature a commentary with Kurosawa and Stephen Prince; video interviews with executive producers George Lucas and Francis Ford Coppola, and Kurosawa; Kurosawa documentary It's Wonderful To Create (41m); Image Gallery (43m, "an analysis of the film using Kurosawa's original paintings"); and three trailers. The RRP is £17.99. Eureka! has announced the next two titles in their Masters of Cinema range: Orson Welles' F For Fake, and Claude Lanzmann's extraordinary oral history documentary about the Holocaust, Shoah. Both titles are due on January 22nd. 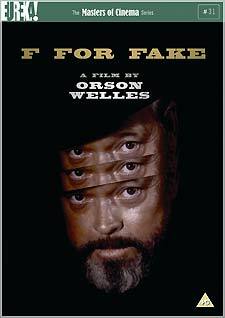 F For Fake will feature Criterion's restored high definition-based transfer; a commentary by Bill Krohn and Gary Graver; optional English subtitles; and a "fine" booklet! The RRP is £19.99. 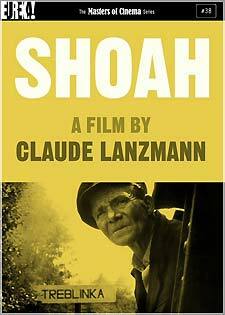 Shoah will be a four-disc set, accompanied by a hundred-and-eighty page book. The set will have "new and improved" English subtitles. The RRP is £59.99. - The two Neil Hannon songs were written for last year's Christmas Special The Christmas Invasion (Song For 10) and this year's Christmas Special The Runaway Bride to be shown on Christmas Day (Love Don't Roam). Neil Hannon did not perform the song in last year's Special but will do in this year's. 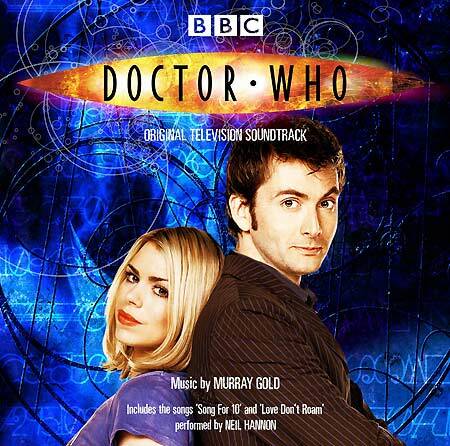 - Murray Gold's music will be selected cues from both the Christopher Eccleston and David Tennant seasons and is a mixture of light, ambient electronic cues and heavy, orchestral cues for the action sequences. - The orchestral cues are performed by the BBC National Orchestra of Wales who are also performing much the same music in the Children In Need Concert on 19th November. The Crouch End Festival Chorus also feature on the CD. - The initial print run will be a collectable limited edition containing a button badge exclusive to Silva Screen's release. 9. I'm Coming To Get You! 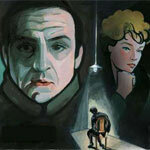 The BFI will release a selection of films directed by British film pioneer Robert W Paul on November the 20th. 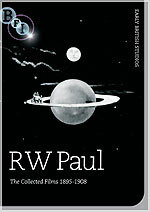 RW Paul - The Collected Films 1895-1908 features a wide-ranging selection of sixty-two films, including documentary and fiction subjects, many preserved by the BFI National Archive. Paul, who produced what is arguably the first British narrative film, A Soldier's Courtship, in 1896 (now lost), was also the first man to edit two scenes together. He also created elaborate George Méliès-style fantasies, like his famous short The '?' Motorist, in which an animated motor car drives around the rings of Saturn (as pictured on the sleeve, left). The collection includes one of the two surviving films of the HMS Albion disaster, and some of the first films shot in Spain, Portugal, Egypt and Sweden, including frontline reporting from the Anglo-Boer War. It also includes footage from the 1896 Derby, and coverage of Queen Victoria's Diamond Jubilee procession. The films are accompanied by brand new music from celebrated pianist Stephen Horne. The disc offers commentary by film historian Professor Ian Christie, author of the forthcoming book The Time Traveller: Robert Paul and the Early Moving Picture Business (due late 2007). The set will also include an illustrated booklet with an essay, and introduction to each of the films. The RRP is £19.99. L’Armée des ombres (Army in the Shadows), Jean-Pierre Melville’s adaptation of Joseph Kessel’s seminal wartime novel, will be released on DVD by the BFI on November the 27th. The disc is being mastered from a newly-restored print (which had a theatrical release earlier this year). It will be presented in 1.85:1 ratio, in French with English subtitles. The disc will feature a commentary (by Professor Ginette Vincendeau, author of Jean-Pierre Melville: An American in Paris); a short film from 1968 showing Melville directing on set (4m); and an illustrated booklet including an essay by Jean-Michel Frodon, and a contemporaneous review by Jean-Louis Comolli, both from Cahiers du cinéma magazine. The RRP is £19.99. Note that the BFI's forthcoming Quay Brothers - The Short Films DVD has been delayed again, and will now be released on November the 20th. More details about Pathe Distribution's December 26th release of the thriller Adrift are now available. The film is presented in 2.35:1 anamorphic ratio, with Dolby Digital 5.1 audio (at 448kbps), and optional English HoH subtitles. The movie is supplemented by a twenty-minute Making of... featurette, and a trailer. The RRP is £15.99.